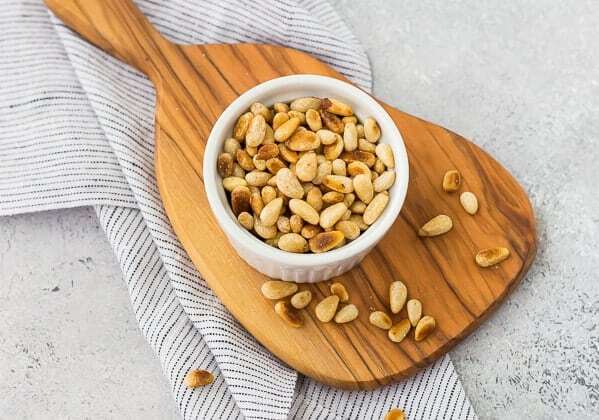 Learning how to toast pine nuts is an essential skill you’ll want in that cooking “tool box.” Knowing how to toast pine nuts will elevate your recipes that include pine nuts and take the flavor to the next level! You’ll learn three easy methods and what situations are best for each method! Perfectly toasted pine nuts (aka pignoli) are a magical thing, aren’t they? I don’t get to experience their beauty and deliciousness as much as I’d like to since my kids have tree nut allergies, but it makes them that much more of a treat for me. Let’s be real – they’re already a bit of a treat given their price tag, but oooooh are they worth it! Their presence can really elevate even the most simple dish, and their flavor cannot be replicated by any other ingredient. 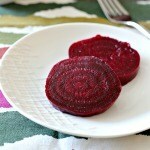 They’re especially great on salads (they go SO well with arugula!) and sprinkled on top of a creamy pasta recipe. They’re also fantastic on top of hummus, of course. I can’t have hummus in the house either (sesame allergy for my little man), but I’m not even joking when I say that I dream of silky hummus topped with perfectly toasted pine nuts and a drizzle of the best olive oil I can find. Toasting your pine nuts will also give an unreal depth of flavor to your homemade pesto – try it! Moral of this story that is beginning to verge on a pity-party? Eat all the pine nuts for me and send me photos of your delicious creations topped with perfectly toasted pine nuts, okay? On Instagram, tag me #rachelcooksblog so I can see them! BUT in case you don’t know how to toast pine nuts, I’m here to help. I’m going to cover three methods in this post and they’re all super easy! More often than not, I’ll use the stovetop method but any of these three methods work great. It also depends a little on how many you want to toast all at once – I’ll cover that as I go through the methods. PS: If this seems super basic and simple to some of you, that’s great! You’re probably already killing it in the kitchen. 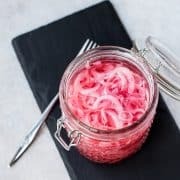 However, when I did my reader survey, there was quite a bit of interest in basic cooking tutorials like this one, so I’m going to sprinkle them in here and there. Also, I have a recipe coming up for an amazing pasta salad and you’ll want perfectly toasted pine nuts in it, so I want to make sure you can nail that portion of the recipe! This is my preferred method. After the microwave, it’s the quickest and it’s more reliable than the microwave. It is also possibly because I’m a control freak and this method gives you the most control and oversight of the process. On the flip side, it requires a little more hands-on time and monitoring. It works best for small – medium amounts of pine nuts (1/4 cup to 1 cup). Place pine nuts in a dry (don’t add oil) frying pan large enough to hold them in a single layer. Turn heat to medium-low and cook until fragrant and golden brown, keeping them moving (stir frequently or constantly). When they’re golden brown, immediately transfer them to a plate to stop the cooking and prevent burning. Yes, microwave! I often use the microwave to toast other types of nuts (well, I did before the nut allergies surfaced). For this method, make sure you have a microwave-safe plate! This method works best for small amounts of pine nuts (1/4 cup – 1/2 cup). You could probably manage up to a cup if you have a big enough plate and microwave, but you’ll want to have them in a single layer when they go into the microwave. Spread pine nuts in a single layer on a microwave-safe plate. Microwave on full power for 1 minute, stir, and then continue to microwave and stir in 30 second intervals until golden brown. Make sure to keep an eye on them, especially towards the end, because they can burn quickly. The microwave tends to heat unevenly so some can be untoasted while others burn if you’re not watching and stirring every 30 seconds. 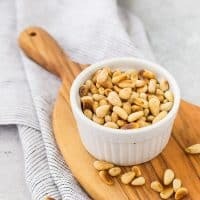 This is a great method if you want to toast a lot of pine nuts at once because you can spread them all out on a half sheet pan or a quarter sheet pan. You could do up to a couple cups of pine nuts. 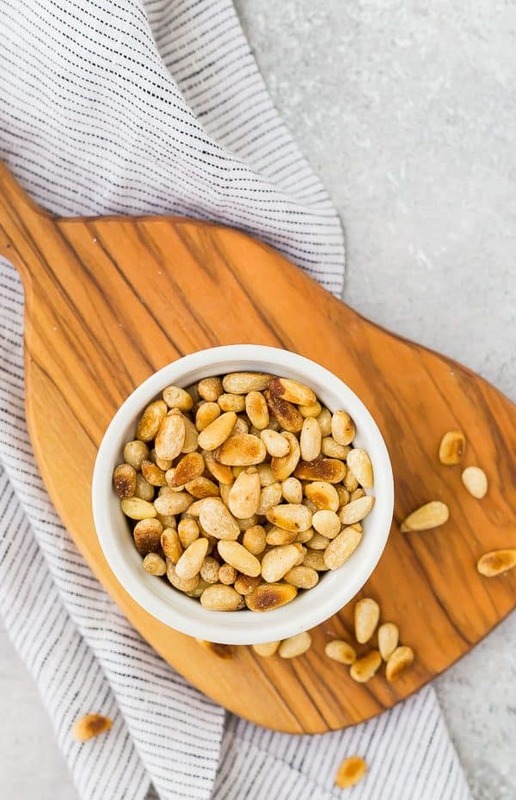 Similar to the microwave, you’ll want to have the pine nuts in a single layer so make sure you choose a large enough pan if you’re toasting a large quantity of pine nuts. If you’re toasting more than 2 cups of pine nuts at once, I want to come over. This method also yields the most even toasting and color on all the pine nuts. Spread pine nuts in a single layer on a rimmed baking sheet. Bake for 5-10 minutes, stirring every 2-3 minutes, or until golden brown. Immediately transfer to a plate to stop the hot pan from continuing to cook them. Wondering how to store toasted pine nuts? It’s similar to the recommendation as storage of untoasted pine nuts. Here is my suggestion: Cool completely before moving to an airtight container (you don’t want any steam or condensation in the container or you’ll have soggy pine nuts!). Store at room temperature if you plan to use them within a week. If you wish to store them longer, move them to the fridge to prevent them from becoming rancid. Preferably, you’ll only toast what you’re going to use in the next few days. I store my raw pine nuts in the freezer to extend the shelf life and prevent them from becoming rancid. They’re too expensive to let them go rancid without using them! Learning how to toast pine nuts is an essential skill you'll want in that cooking "tool box." 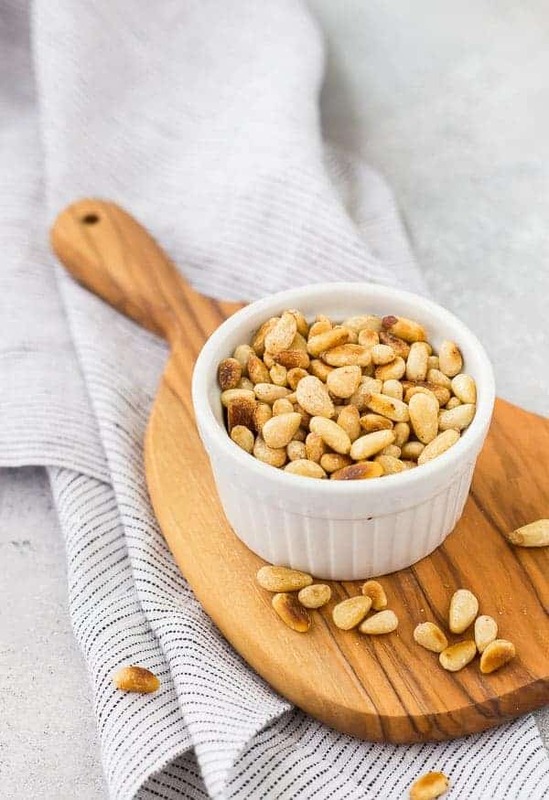 Knowing how to toast pine nuts will elevate your recipes that include pine nuts and take the flavor to the next level! You'll learn three easy methods and what situations are best for each method! Place pine nuts in a dry (don't add oil) frying pan large enough to hold them in a single layer. When they're golden brown, immediately transfer them to a plate to stop the cooking and prevent burning. Make sure to keep an eye on them, especially towards the end, because they can burn quickly. The microwave tends to heat unevenly so some can be untoasted while others burn if you're not watching and stirring every 30 seconds. You can easily toast more pine nuts than 1/2 cup. If you toast more than 1 cup at a time, the oven method will work best. Verdict: I could eat these by the handful! Husband’s take: He loves hummus topped with lamb and pine nuts. And they MUST be toasted. That’s me speaking, but he would feel the same if he did a side-by-side taste test. Changes I would make: Eat more pine nuts. 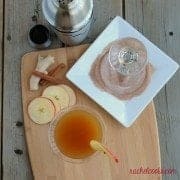 Curious as to why you say not to add oil to the stovetop method? I toast mine in olive oil and throw over pasta with grilled chicken. They don’t need oil to toast them, but you’re more than welcome to…I bet it’s super tasty! I turn the oven off after a few minutes. Pine nuts are less likely to burn this way. I do the same with other nuts as well. Interesting tip! I’ll have to try that some time.